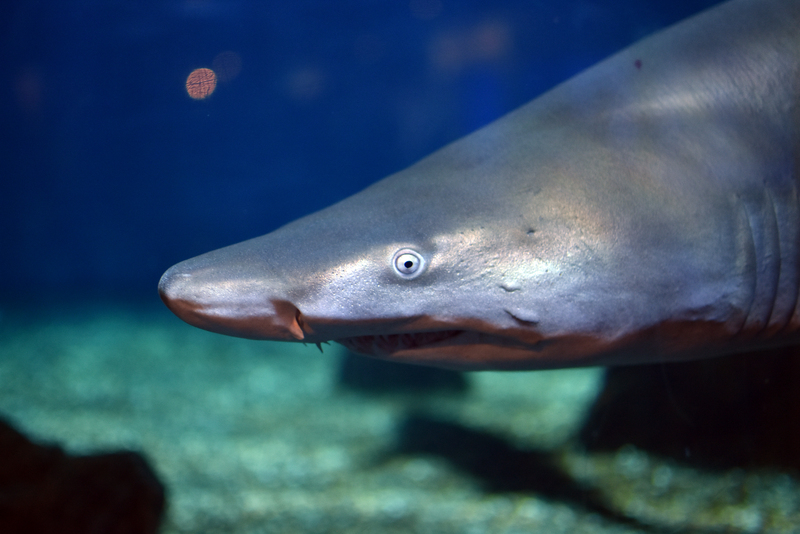 A large shark, the sand tiger shark reaches an average size from six to nine feet in length and up to 300 pounds. 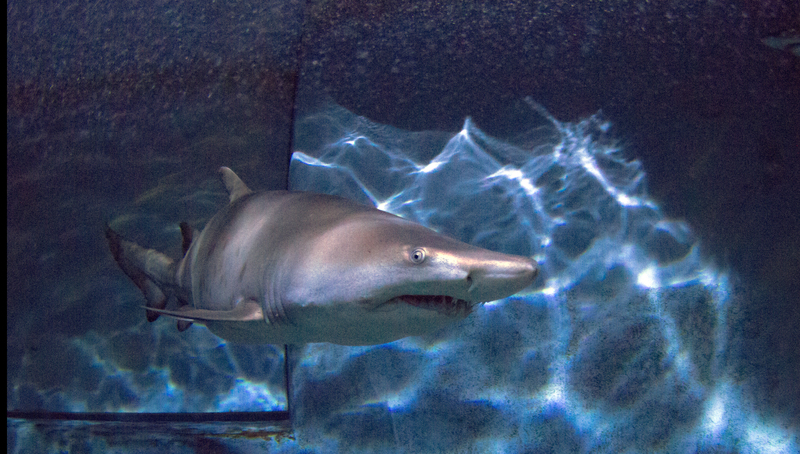 Sand tiger sharks are easily recognizable by their numerous protruding teeth and large, notched upper lobe of the tail. The young sharks at Mystic Aquarium will have dark spots throughout their brown or grey body but these spots will fade as they mature. These sharks have a wide distribution and can be found in subtropical and warm temperate waters around the world (with the exception of the eastern Pacific Ocean). This includes the western Atlantic from the Gulf of Maine to Florida. Found anywhere from shallow bays to coral reefs, these sharks can be found in coastal regions around the world (with the exception of the eastern Pacific Ocean). These sharks primarily eat fish but will also feed on smaller sharks, rays, squid, crabs, lobsters, and squid. 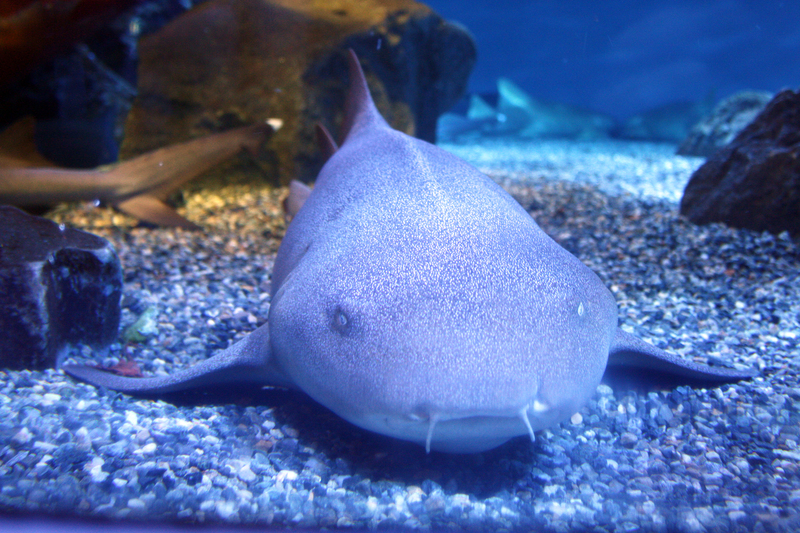 Nurse Sharks are nocturnal, resting on sandy bottoms, and in crevices during the day. Habitat includes rocky and coral reefs as well as channels between mangrove habitats. They are born at about a foot in length and can grow up to 14 feet in length. Based on a study of stomach contents the diets include fish, octopi, bivalves, crustaceans. They are listed as Data Deficient on the IUCN Redlist. Their range includes both the Eastern Pacific and Western Atlantic. In the Atlantic they can be found typically off the coasts of United States from Rhode Island as far south as Florida, Caribbean, Brazil, and into the Gulf. There are six species of Cownose stingrays, the type that is displayed at Mystic Aquarium are, Rhinoptera bonasus. In the Western Atlantic, they range as far south as Brazil and as far north as Massachusetts during August and September. Cownose stingrays are found in both brackish and marine environments and can tolerate salinities as low as 5-7ppt. Cownose stingrays can be found at depths from 0-65 feet. The cownose stingray was named for its distinctive head shape, which resembles a cow’s nose. 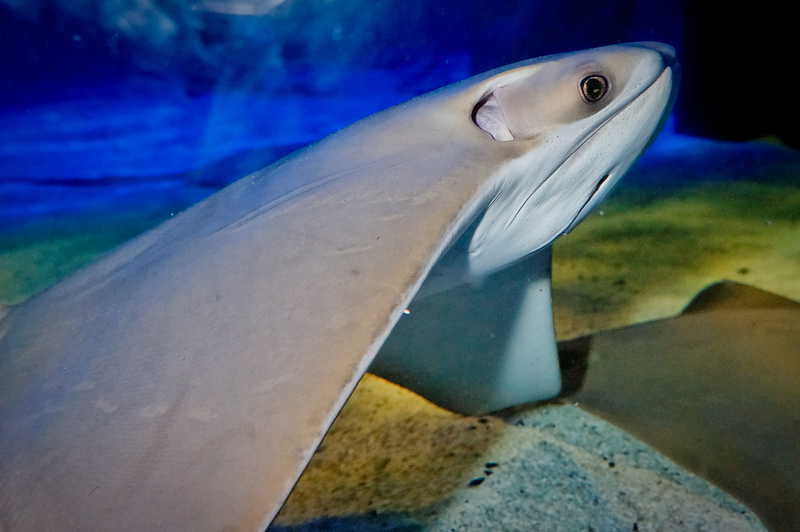 Stingrays, sharks, and skates are all cartilaginous fish, which means they all lack a true backbone. Stingrays possess other characteristics of sharks such as five-gill slits on each side of the head, a spiracle, and the ability to sense electromagnetic fields. 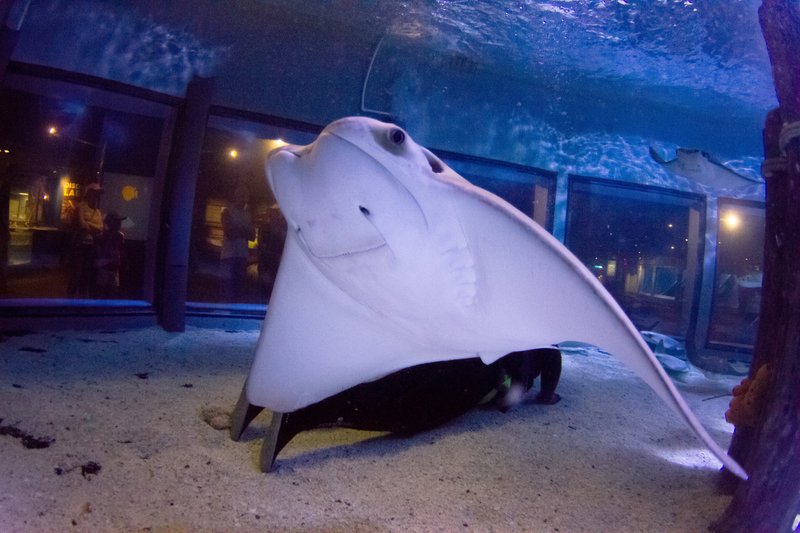 Stingrays and skates are characterized by the lack of a swim bladder that helps true fish float. With a few exceptions, if stingrays and skates stop swimming, they sink.